Ladies and gentlemen, the intertubes are clogged. They are completely filled with bullets and bosses from Gunstar Heroes. All the digital Drain-O in the world couldn't save it either, at least, on the PlayStation 3. 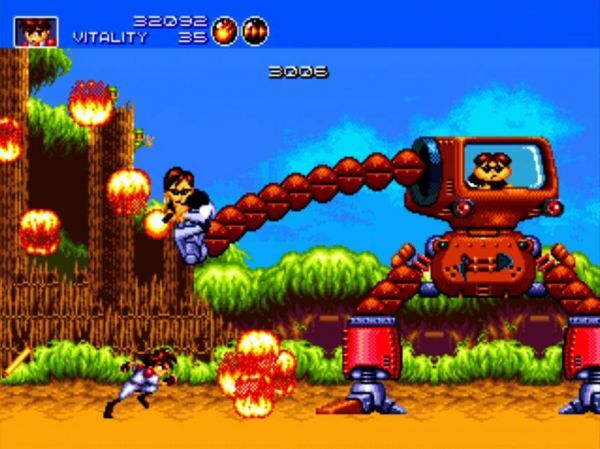 According to various reports around the web, including our own forums, the PlayStation 3 version of GunStar Heroes is suffering from severe lag and disconnects for the online co-op mode. At this point the game is completely unplayable on Sony's platform. We've contacted Sega for comment on the matter, but did not hear a response. We hope there's a patch in the works, but only time will tell. Thankfully we can report the Xbox Live Arcade version of the game is completely unaffected by this. Mike and myself had a rather enjoyable time with the game over the weekend. And because the 360 version has no lag issues, I can't blame all my deaths on the intertubes...even though it's their fault.